Yunnan: Dali Xian. Diancang Shan mountain range. Xiaohuadianba in the vicinity of Huadianba medicinal herb farm. None. 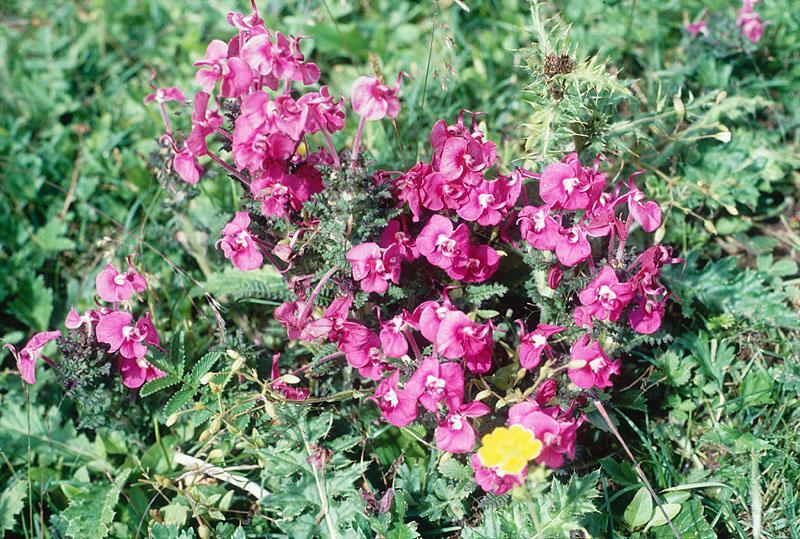 25°53'0"N, 100°1'0"E; 3100 m.
Flowers magenta with a white throat.